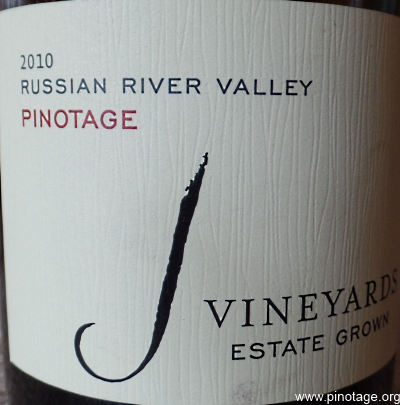 My Wine of the Month for June is J Vineyard & Winery’s Pinotage 2010, grown and made on the estate in California’s Russian River. 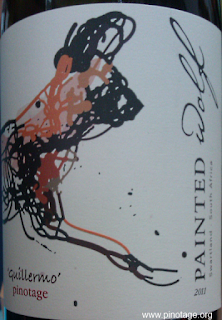 This had redcurrant flavours and a lightness of fruits which danced over the reality of its 14.7% abv. Develops complexity and had a long silky finish. Delicious. J Vineyards discovered they had a 2.8 acre Pinotage plot in the Backdoor Vineyard when Judy Jordan bought the property intending to specialise in traditional-method sparkling wines. Pinotage is sold exclusively in their tasting room and it has gathered many fans, quickly selling out each vintage. 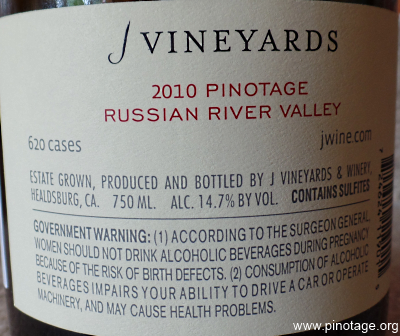 I’ve visited J Vineyards twice and brought this home from my 2012 trip. It cost $48.50 including tax and 620 cases were made. 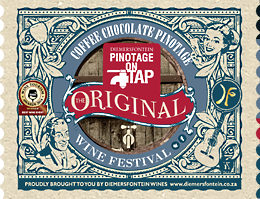 Tickets are now on sale for 2015 POT - Pinotage on Tap, celebrating the coffee'n'chocolate Pinotage created by Diemersfontein. This is the 11th consecutive year of this great wine, music and food festival. 10 October: Grand finale at Diemersfontein Estate in Wellington, just 70km from Cape Town. Fittingly this event will take place on International Pinotage Day. 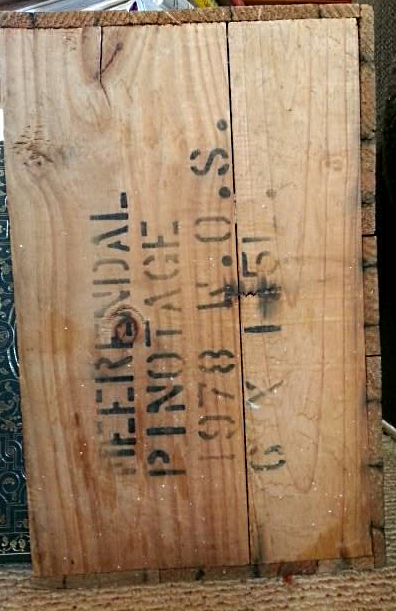 This wooden case once held 6 magnums of 1978 Meerendal Pinotage. Bruce Metelerkamp in New Zealand who sent me the photo, still uses the box to store wine. 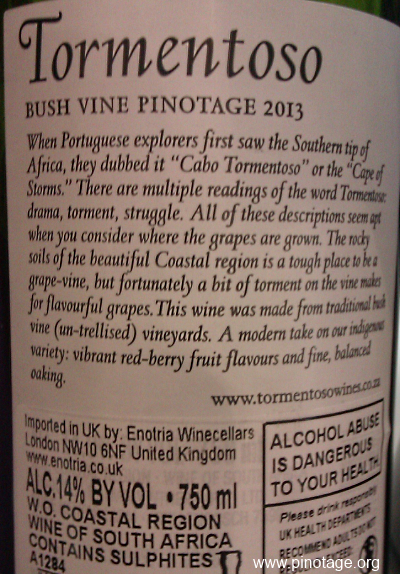 Tormentino is a name new to me. 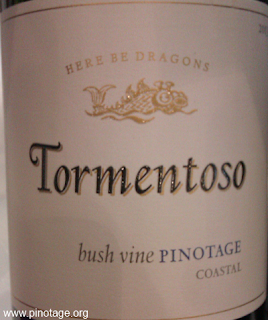 It is is a premium brand of MAN Vintners. I recently tasted their 2013 Bush Vine Pinotage was pale red and medium bodied with soft sweet ripe fruits and spices. Closed with real cork, Coastal Wine of Origin, 14% abv. The name comes from "Cabo Tormentoso" (translated as “Stormy Cape” or “Cape of Storms”), the original name for the Cape of Good Hope given to it by the Portuguese explorer Bartholomieu Dias who first rounded the Cape in 1488.